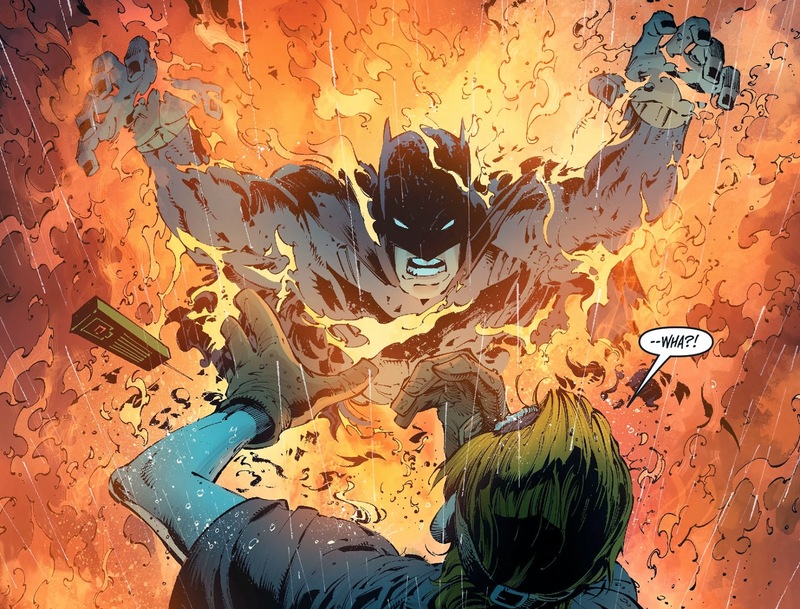 Scott Synder and Greg Capullo's work on Batman has been nothing short of ground breaking. 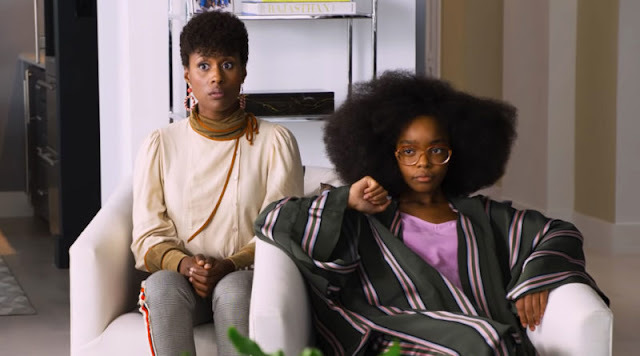 Somehow this dynamic duo have managed to reinvigorate a character that didn't really need reinvigorating. The world of the New 52 Batman is darker, harsher, more complex and infinitely scarier than any Bat-universe before it. It's a more intense version of everything fans have come to love about the character and the city he inhabits. After reading Death of the Family it seems that The Court of Owls and The Night of Owls storylines were a mere primer for the terrifying trials in store for Bruce Wayne. The horror elements introduced in those stories come off as mild compared to what takes place in Death of the Family, a story arc opens with the Joker slaughtering the cops at GCPD to get his face back and proceeds to get more disturbing from there. Without giving too much away Death of the Family revolves around the Joker trying to eliminate everyone close to Batman which of course results in him targeting the Bat family (Robin, Nightwing, Batgirl etc). It's a simple enough premise and, although it's not the first time this concept of going after the hero's loved ones to get to the hero has been explored in comics, it all feels fresh. This is mostly due to Synder's interpretation of the Joker, an interpretation that stands out as hideously distinct whilst remaining true to the character. The story grants us an horrifying insight into the way The Joker thinks. No matter how messed-up and haphazard the clown Prince of Crime's plans for Bats may seem, there is always an underlying motivation that guides his actions. 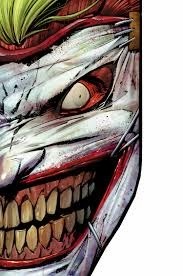 This preciosity is what makes The Joker so damn scary, to him the atrocities he is committing all make perfect sense. Oh, and Capullo's penciled renderings of the Joker don't hurt either. Don't be deceived, just because Greg Capullo's art work posses a clean-cut look and cartoon sensibilities doesn't mean he can't bring the scary. His depictions of the Joker with stapled skin stretched over his face are nothing short of nightmare material. 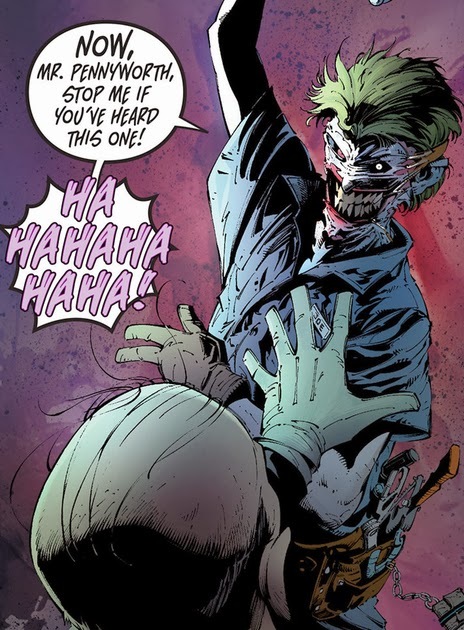 Just like Synder's writing, his art really captures the iconic look of the Joker whilst adding his own unique flavour. The rest of the art is all up to the incredible standard set by Capullo in the previous Bat books. This standard is also maintained in the backup stories written by James Tynion IV with art by Jock. These back-ups help to fill out the story and answer any lingering questions not addressed in the main comic. 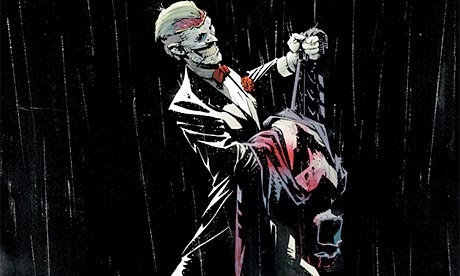 Death of the Family is, in my humble opinion, a comicbook masterpiece and a must read for all self respecting Bat-fans. It's obvious Synder and Capullo understand what makes the Joker tick and were able to capitalise on this in a most gruesome and unnerving fashion. It's skin crawling stuff that will hit you as hard has a spray of acid to the face!